Dynamic Imaging Systems released a new facial recognition module within its PositiveID+ biometrics application. The addition of facial recognition in the 4.7 version of PositiveID+ brings fingerprint and facial identification together under one application. This enables an Agency to utilize both fingerprints and faces to help identify and investigate subjects. Agencies that own or purchase the PositiveID+ system can use the law enforcment facial recognition component at no additional licensing or software charges. Also, existing face images can be enrolled into the system to support immediate use of the facial recognition tool as part of booking and investigative functions. A mobile facial recognition app for law enforcement is also being offered to turn any camera-enabled cell phone into a powerful mobile recognition tool. 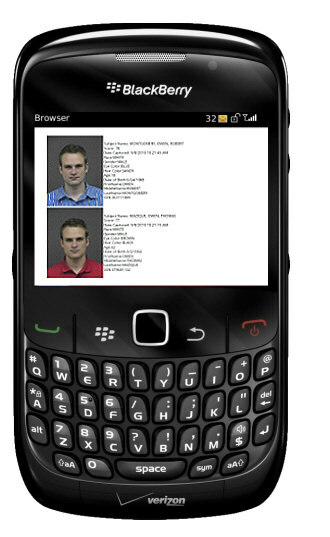 The software enables end users to use their Blackberry/Droid/iPhone cell phones to capture a face image and submit it to the Agency’s PositiveID+ server. The incoming image is sent to the PositiveID+ search engine to identify possible matches and the search results are returned within moments. Search results can be viewed right on the officer’s mobile phone, forwarded to investigative personnel, or reviewed back in the office from any web browser. Mobile facial recognition using our innovative application is a powerful capability that makes it easy for officers to work in the field.